LG Marks Sale Of 15 Million Refrigerators Powered By Its Inverter Linear Compressor Technology – March 21, 2017– Seoul, Korea (Techreleased) – LG Electronics today announced the sale of its 15th million refrigerator worldwide powered by its proprietary Inverter Linear Compressor, the appliance division’s most successful core technology. LG saw sales of its premium refrigerators increase 8 percent last year compared to the previous year and expects to sell four million more units this year, an average of seven refrigerators sold every minute. 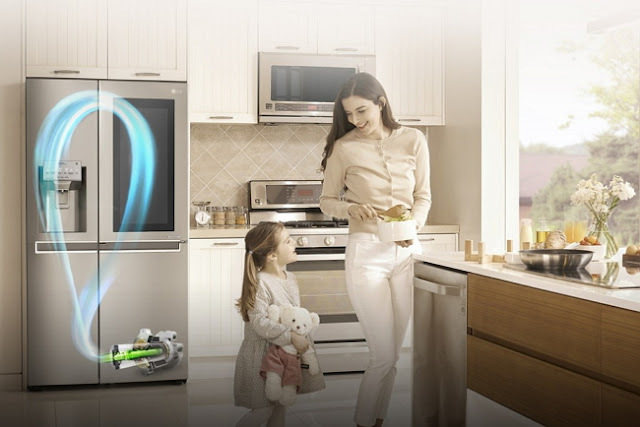 LG’s Inverter Linear Compressor is a critical component of every premium refrigerator and is considered a core technology behind the success of the company’s appliances. Unlike conventional rotary compressors that utilize circular motion, LG’s Linear Compressor converts linear motion into cooling power much more efficiently. This process reduces energy consumption and noise level compared to refrigerators with conventional motors. Since developing the Inverter Linear Compressor 16 years ago, LG has continuously worked to improve its technology. LG’s fifth generation Inverter Linear Compressor, introduced in 2014, delivers 55 percent better energy efficiency and 15 percent less noise compared its first generation compressor. LG currently holds 981 patents in South Korea for its Linear Inverter Compressor technology, as well as 232 patents in the United States and 52 across Europe. LG’s Inverter Linear Compressor refrigerator has been named “Best Refrigerator” by a number of consumer organizations and product reviewers world over for its excellent performance, consistent temperature controls and low noise level. LG expanded its award-winning lineup last year with its new Centum System™ refrigerator developed specifically for the European market. The Centum System Inverter Linear Compressor was backed by a 20-year warranty, an industry first, earning it recognition by VDE (Verband Deutscher Elektrotechniker), one of Europe’s most respected standards and safety organizations.